Are people actually earning $75 an hour? Sure! By providing digital marketing and SEO services (even from home!) What in the world is that? If you would enjoy the challenge of making small business websites much more appealing so that they are high on Google’s pages (just using your computer and the internet – you can learn how even without having any prior skills or technical experience), if you would enjoy spreading the word about goods or services digitally, if you need flexible work timings from home, if you want a career or side hustle that could get you earning income in a few months and if you would like to start your own business from home with little overhead expense, then becoming a digital marketing and SEO consultant might be for you. Digital Marketing is marketing products or services online using digital technologies, mainly the Internet, but also mobile phones, display advertising, and any other digital medium. SEO: Search Engine Optimization is about ways to increase the number of visitors to a website by obtaining a high-ranking placement in search results pages on Google and other search engines. Claudia Pennigton has years of experience in this and has translated her experience into easy to follow online digital marketing training courses on SEO Audit Guide.com. 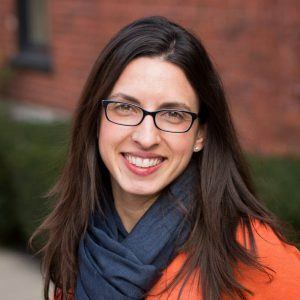 In this interview, Claudia explains the basics and how this work-from-home career can fit into a busy mom’s (or dad’s) schedule. She also talks about her free introductory course that gives you a better picture of what all this is about and helps you decide if such online work would suit your interests and abilities. Claudia, could you give us a little history and tell us how you got into teaching digital marketing courses? My experience in digital marketing goes back to 2005 when I was a technical writing intern working for Penn State’s Information Technology Services department. I gained experience with newer tools and technologies at the time, including social media, wikis, podcasting, and blogging. 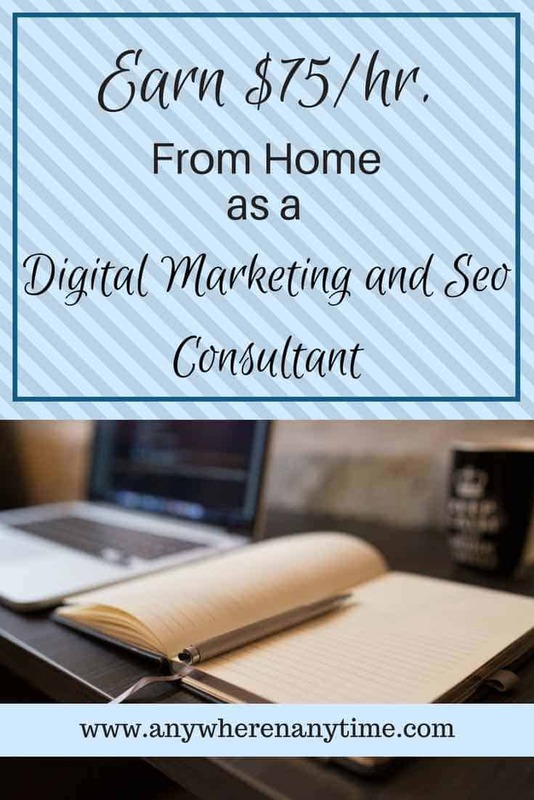 I realized that I could put my knowledge and experience into online training courses to help others become Digital Marketing & SEO Consultants who work from home. My husband and I launched an online business, Side Hustle, LLC, and a package of five online training courses. Part of the work you do as a Digital Marketing & SEO Consultant involves completing website audits. Could you explain that in layman’s terms? Is it something that can be easily learned? One of the core services offered by a Digital Marketing & SEO Consultant is the SEO website audit. SEO website audits are akin to car inspections. Mechanics use a checklist to check the same basic components that nearly every car has to see if they function as expected. When there is an issue discovered in a car inspection, the mechanic puts the information into a report for the car owner so that the car owner can review the recommended repairs and decide how s/he wants to proceed. Much like a car inspection, SEO website audits look at the components of a website to see if these components function as expected. Since every website has the same basic components, there is a checklist for the SEO website audit process to ensure that the consultant has checked every component of a website. Through the SEO website audit process, the consultant produces a report for the website’s owner that highlights what needs to be improved on a website. If you like to-do-lists, you’ll enjoy the SEO website audit process! Are digital marketing and SEO audits things that a stay-at-home mom can do in her limited amount of time? Is it a flexible career? Absolutely. Digital marketing and SEO are flexible. You can work as much or as little as you want. Whether you have 15 minutes available in one day and an hour the next, you get to choose how to spend your time and what tasks you want to do. For example, if you have a new client who needs an SEO website audit, you can complete the website audit at your convenience. The typical website audit takes about 10 hours to complete, but you don’t have to work 10 hours at once. At 30 minutes a day Monday through Friday, you can complete an SEO website audit in a month. Alternatively, you could work 2 hours each night for 5 nights and finish an SEO website audit in a week. As a consultant, you work for yourself when it’s convenient for you! Is SEO auditing a career in itself? You can focus on SEO website audits. Typically, the SEO website audit is completed as a one-time project. Once the website audit is complete and the client has paid, the relationship ends there. SEO website audits make great projects for someone who is looking to make extra money once in awhile rather than on a consistent basis. Let’s say you have a goal to make an extra $1,000 a month or $12,000 a year. If you complete one SEO website audit each month, you will have completed 12 website audits of 12 different websites (usually 12 different clients unless the client has several websites). It requires some extra hustle to find a new client each month, but it’s possible to make money consistently. What is digital marketing and do you need to learn every digital marketing service to become a sought after consultant? Digital marketing is an umbrella term used to describe many different services that are used to drive traffic to a website. Digital marketing includes SEO website auditing, content auditing, content marketing, social media marketing, and more. You do not have to learn every digital marketing service to become a consultant. In fact, it’s best to niche down and offer clients the services that align best with your interests and your skills. For example, if you like more structure in your work and less strategy, you’ll enjoy the step-by-step process involved in completing SEO website audits. You could niche down and focus solely on becoming an SEO website auditor for bloggers. If you are a people person, you might have some interest in online public relations, also known as content marketing. Content marketing is simply a way to drive traffic from one website to your client’s website; it’s one of the best ways to help a website owner increase website traffic. Content marketing requires an ongoing, monthly commitment; typically, you work a consistent number of hours per month on content marketing, i.e. 10 hours per month for a client. You could focus solely on honing your skills as a content marketer, niching down to focus on a particular industry (depending on the experience you have). In January, I saw an opportunity for content marketing for a homeschool academy, which would be a great fit for parents with some experience in homeschool who are trained in content marketing. Every business, blog and nonprofit organization benefits from help with content marketing. There are countless combinations of services you could offer potential clients depending on your interests, skills, and experience. In one example, a couple who recently completed our online courses decided to focus on providing two services: SEO website audits and content marketing. They focus on working with nonprofit organizations that they are especially interested in helping. In another example, a mom with three kids and a part-time job completed our online courses and decided to focus on providing SEO website audits and content audits. With the limited time she has available, she likes that audits are projects that can be completed in less than a month and that they don’t require any ongoing commitment. You can combine your skills and experience with digital marketing services, providing a unique combination to small business owners, bloggers, and non-profit organizations. Virtual assisting plus digital marketing. Copywriting plus digital marketing. Bookkeeping plus digital marketing. Just digital marketing. Just SEO website audits. It’s completely up to you! What kind of skills do you need? Do you need to have prior marketing experience or website building experience? You don’t need any prior marketing or website experience. As a consultant, you don’t even need to log into a website to provide consulting services–technical skills not required. All of the digital marketing and SEO fundamentals you need to get started you can learn in our online training courses. Notably, customer service experience is helpful, because you know that happy clients refer great consultants to their fellow business owners. If you like to-do lists, you’ll enjoy completing SEO website audits. To complete the SEO website audit, you simply follow the steps outlined in the SEO website audit course to examine a website and then generate an SEO audit report for the website owner that he/she can use to improve his/her website. What I love most about digital marketing and SEO is the flexibility. Depending on your skill set, you might be able to offer additional services to your clients beyond the SEO website audit as a content writer or virtual assistant. Digital marketing and SEO also serve as a standalone side hustle or side business. Realistically, what is the minimum amount of time you would need to devote to this on a daily basis? Since you get to choose when you want to work, there is no daily minimum required. You could work 15 minutes a day or 3 hours once a week. I recommend that small businesses and bloggers invest in 10 hours of digital marketing each month. Thus, my clients pay me to work 10 hours per month. How many hours you work each week or each month is up to you and your client (and your client’s budget). If you find a client you want to help and you have 5 hours per month, discuss with your client what time you have available and see if it’s a good fit for the client. I coach you through all of these conversations with your potential clients, but it’s important that before you talk with a client you know how much time you think you can realistically devote. Can you make a decent income doing this part time? Regardless of location, I coach students to charge no less than $75 per hour (US dollars). Digital marketing and SEO comprise an in-demand skill set, so it is important to expect to be paid well for the value you provide clients. Earning potential varies by location–rates tend to be higher in major metropolitan areas. However, I recommend charging no less than $75 per hour no matter where you live. For example, the typical SEO website audit takes about 10 hours to complete. If you charge $75 per hour, you can earn $750 for the SEO website audit. Is this a career that a stay-at-home mom could make into a full-time career once the kids are older and she has more time on her hands? Definitely. If you wanted to start working full time, you could simply increase your hours by taking enough client work so that you are working 7 to 8 hours a day from home while your kids are at school. You can use your experience in digital marketing in a full-time job, too. Working for yourself is more lucrative, but having a full-time job is more stable. Consulting on the side is a great way to get started so you can see what might work best for your future. Is it hard to get clients and have a steady workflow? Finding clients is easy for hustlers. If you want clients, you can find them in lots of different places. Everyone you know who has a website they use to sell products or services could become your first clients, including friends, family, bloggers, and small business owners. Depending on how much time you have available each month, you might be looking for just one client (i.e. 10 hours of work per month). You can also look for warm leads–small business owners who are already looking for SEO help on LinkedIn ProFinder and Craigslist; there are lots of other resources like these, but these are good places to start. Because there are tens of millions of businesses in the US alone, it’s easy to get overwhelmed by all of the opportunity out there. I recommend starting with someone you know until you are comfortable with completing the work and managing time. With so many online businesses (blogs included! ), there are even more opportunities. You may also consider joining private Facebook groups that align with your interests. For example, if you are a personal finance enthusiast, you can find private Facebook groups for bloggers in personal finance who periodically seek help with their websites. Do you ever have to go meet clients or can you do everything from home? With one exception, my clients live in other states, so we do not have in-person meetings. Occasionally, we connect via phone. However, what I’ve found is that everyone is busy wearing many different hats, so email is the best way to connect. Everything I do, I do from home. What kind of office equipment do you need besides a laptop and an Internet connection? Other than a computer and an Internet connection, no other office equipment is required. All of the correspondence and documents you share with your clients can be accomplished with free tools offered by Google, including Gmail, Google Calendar, Google Drive, Google Docs, and Google Sheets. For calls with clients, you can use a landline, a cell phone, Google Hangouts, or Skype. What are the basic start-up expenses? Other than the cost of online training courses, there aren’t any startup expenses. The tools we use for all the work we do are free. Your initial expense is the time you’ll need for training and for finding clients. You don’t have to finish all four courses before you get started. I designed the training package so that you could finish the first course, learn how to complete SEO website audits, and start finding your first client in less than a month. As a direct result of my work, my clients’ businesses have grown. Hearing things like “traffic and revenue increased significantly” make this work I do truly rewarding. I feel so fortunate that I’ve been able to help small businesses grow and prosper! There are millions of more businesses out there who need help, so it’s amazing I’m able to train new Digital Marketing & SEO Consultants. Try the free video course to learn more and see if this a fit for you. A couple of days after you sign up, you’ll receive an email with an invitation to join me for a workshop. Both the course and the workshop are free, so no obligation; both will give you even more information about digital marketing and SEO and the potential for this as a side hustle or side business. As Claudia said, you can join her free course to find out what in the world this SEO and digital marketing course is all about. You can also read a review of her full paid course if you want more information about it. How does this sound to you? Imagine providing digital marketing and SEO services to clients online! Any questions about it? Anything you’d be interested in trying out? Or is it something you’ve attempted before? Either way, we’d like to hear your thoughts below! This is actually a course, Tatiana, rather than a job opening. If you want you can take Claudia’s free intro course and then go on to take the full course which would teach you all the skills and how to market yourself. Claudia doesn’t provide jobs, but rather the skills you need to work for yourself.